Great place!! Lots of times tourists are rather srupid because they never check out the area they visit. Boom & Gary of the Vermilon River, Canada. Oh, a great looking place indeed and such beautiful birds!! Superb captures for the day, Mick! Thanks for sharing! Have a good week! Great photos and a sober warning about the crocs, is Fraser Island the furthest south that crocs have been sighted? 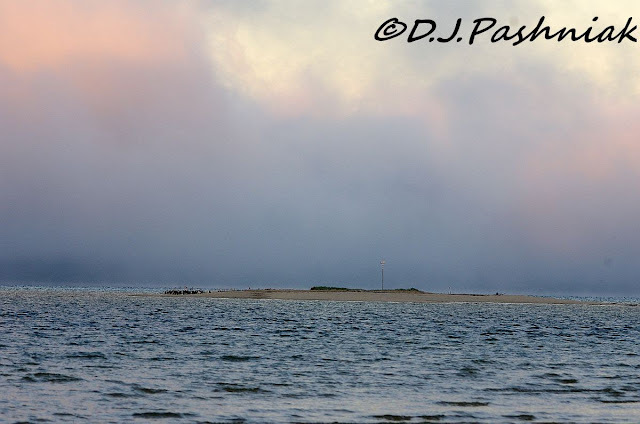 Yes,that sighting on Fraser Island is as far south as crocs have been reliably sighted. Of course there are always rumors that they are further south still - and that's why I have changed my habits in the water! 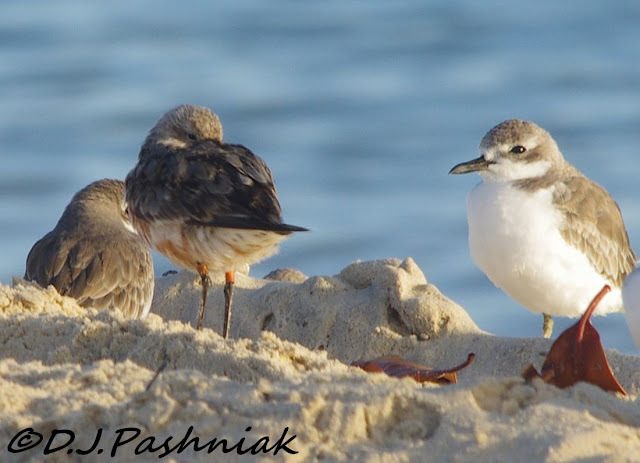 Nice work on getting close enough to these wary shorebirds for such good photos! These are birds we don't see around here. Once in awhile, it's a good idea to read the signs! Great to see the waders starting to return. Love the lighting in your photos. 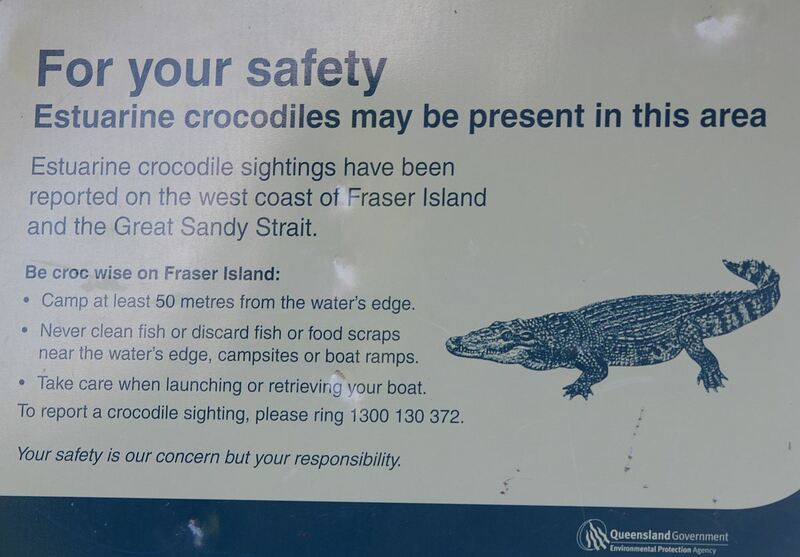 As a tourist in Cairns last year I couldn't understand why no-one was paddling in the water until I read the croc warning signs. Not something we need to think about in England! Cute birds, I love the Terek Sandpiper. 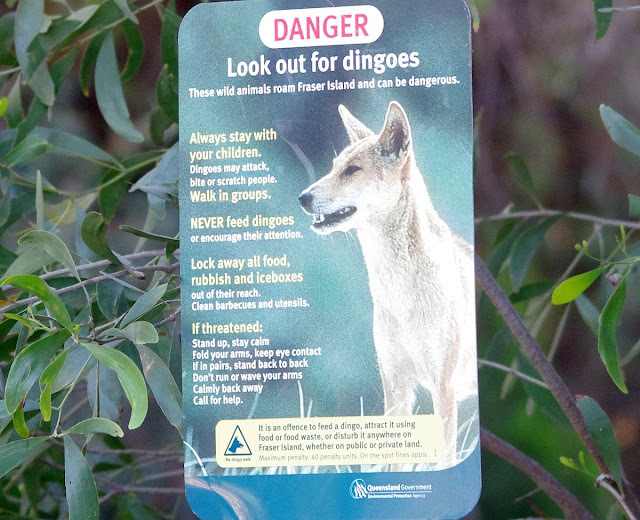 I would not want to come across a crocodile or a dingo. Beautiful photos, Mick! really like the sunrise and fog shots. dingoes and alligators - guess i'll stick with my coyotes and copperheads and water moccasins (venomous snakes). Those signs might have me turning back. LOL I love the bird on the right in that last shot. Adorable! ah - two of the joys of Australia - crocodiles and dingoes. I have seen both. We even had a sloosh in at the edge of a river where we had seen fresh water crocs once. And seen dingoes slinking through camp - make sure you have everything stowed away! Slightly scary signs but both do suggest that people should respect their wildlife ans as you say Mick, not make assumptions about them not being truly wild. Good to see your Terek picture. seems a long time since seeing them in India a good few miles from where you are. loving the sunrise and your great bird shots ... looks like a wonderful spot to explore ... minus the crocs and dingoes! There are some areas where my husband and I go birding that have alligator warnings. And poisonous snakes in other places. I guess you can't have one without the other. Just use cautionary measures. Some fabulous images Mick!! Those birds are sweet. Great shots. And the sunlight through the fog...incredible. Beautiful birds! I love the soft morning light. 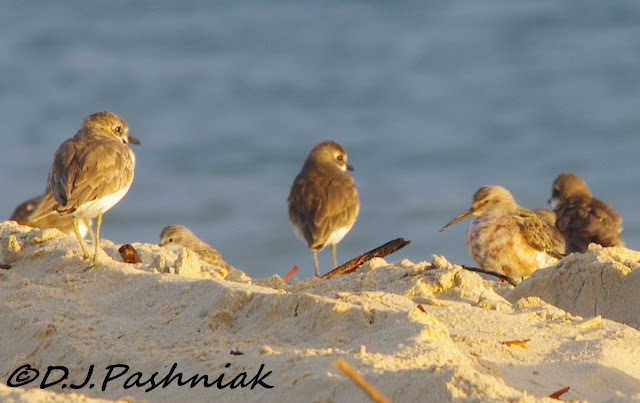 Love the photos of the Sandpipers, Mick, and to get three species in one shot is remarkable! 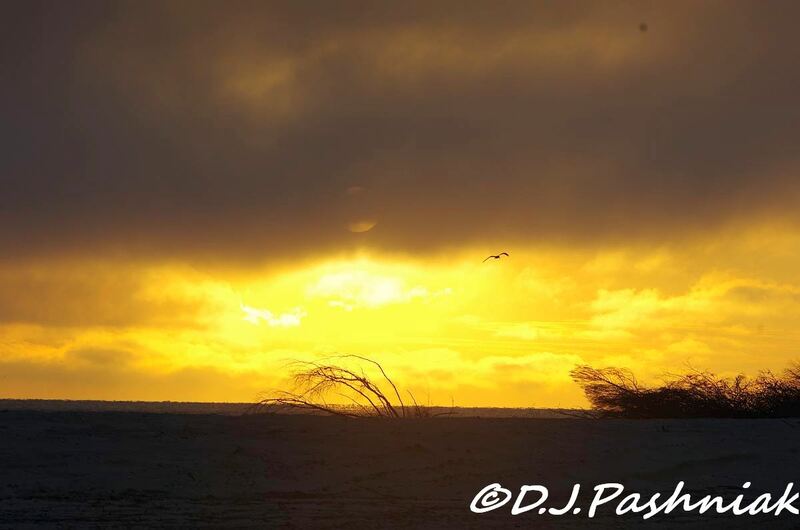 Super sunrise image too! Hi Mick great capture of the waders. You missed the Crocs and Dingoes!! Beautiful land and seascapes. 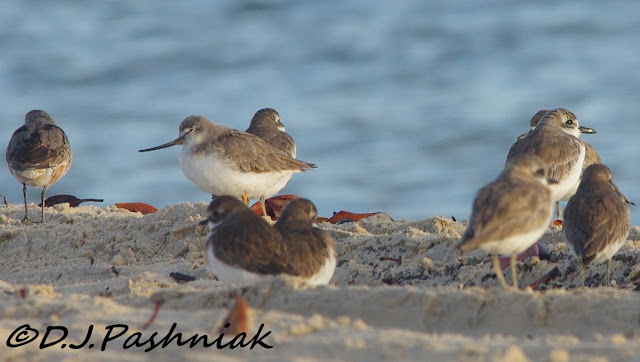 The Terek Sandpiper is really an interesting find. Lovely scenic shots. Great shots of the shorebirds. What a safe place we live! There will be crocs in the Yarra soon! Good to see what looks one of our birds turning up with you! I have passed the URL of that post onto the people who run the banding group. The birds looking cute and in the cool mood..
What a beautiful bird photography! And that morning sunrise makes it all more special.